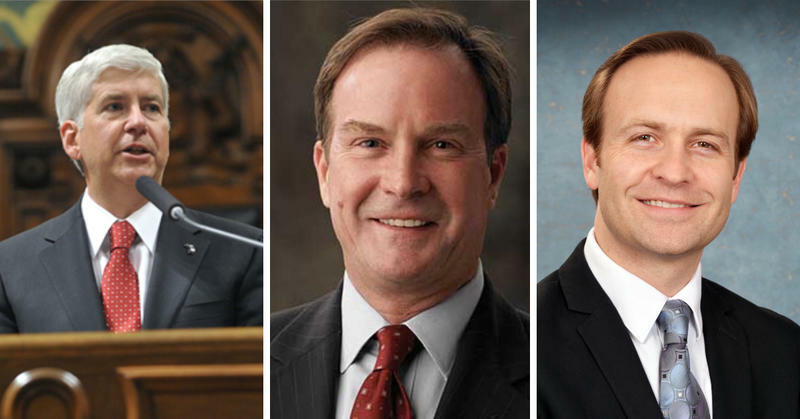 Michiganders have heard a lot from Schuette and Whitmer in the months leading up to the primary, but just who are their running mates? Below is a who’s-who of Michigan’s 2018 lieutenant governor candidates. Garlin Gilchrist II ran his first political campaign in 2017 as a candidate for Detroit city clerk, although he was no stranger to politics before that. When he lived in Washington, D.C., Gilchrist was a political organizer for MoveOn.org, a liberal group that works on behalf of progressive candidates. He also ran Barack Obama’s social media campaign in 2008. Gilchrist lost his bid for Detroit city clerk by a mere 1,482 votes, and managed to significantly outraise incumbent Janice Winfrey. Throughout the race, he strongly advocated for easier access to voting and increasing the number of polling places in the city. He is the former director of Detroit's Innovation & Emerging Technology department, and currently serves as executive director of the Center for Social Media Responsibility at the University of Michigan. At 35, Gilchrist is the youngest of the gubernatorial ticket (although not by much — Lisa Posthumus Lyons is 38). He’s also the only black candidate. And he’s the only man at the top of the statewide Democratic ticket. Besides bringing demographic assets to the Whitmer’s campaign, Gilchrist also brings a progressive ideology that could help the Democrats win over valuable Abdul El-Sayed and Bernie Sanders voters. Lisa Posthumus Lyons got her official start in politics in 2011 when she began three terms in the Michigan Legislature. However, she too was no stranger to politics before entering the arena herself. If Lyons is elected lieutenant governor, she won’t be the first person in her family to hold the position: her father dink Posthumus was lieutenant governor under Gov. John Engler. While serving in the legislature, Lyons chaired the House committees on education and on ethics and elections. She proposed expanding the doomed Education Achievement Authority and faced some controversy when she attempted to amend a right-to-work law to favor correction officers, when at the time, her husband was a correction officer. She was formerly the director of public relations for the Grand Rapids Associations of Realtors, and is currently serving as Kent County Clerk. 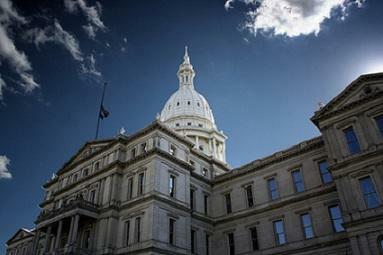 Lyons’ roots in West Michigan could prove vital to the Schuette campaign. She is also considered to be a more moderate conservative voice. Lyons drew some criticism from the right in 2016 when she criticized then-presidential candidate Donald Trump for his treatment of women after the release of the Access Hollywood tape. Trump has since endorsed Bill Schuette, and Lyons has since voiced her support for the president. 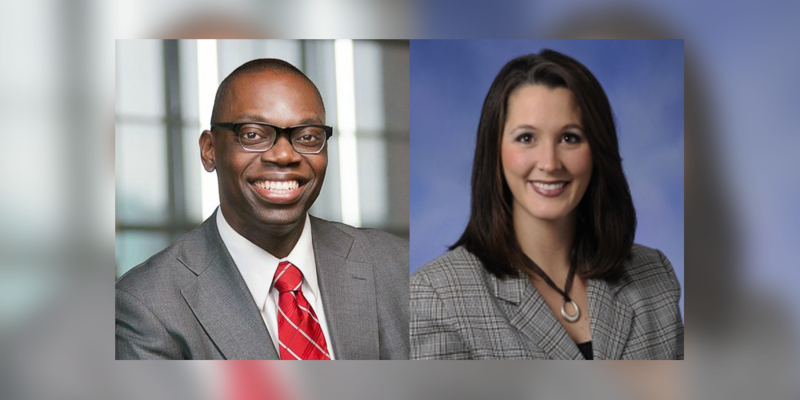 The state Democratic and Republican conventions are this weekend, where Gilchrist and Lyons will be formally nominated for lieutenant governor, along with Whitmer and Schuette. Each party’s candidates for attorney general and secretary of state will also be formally nominated. Bill Gelineau, the Libertarian candidate for governor, announced this week his running mate will be Angelique Chaiser Thomas. The Libertarian party also holds their convention this weekend.